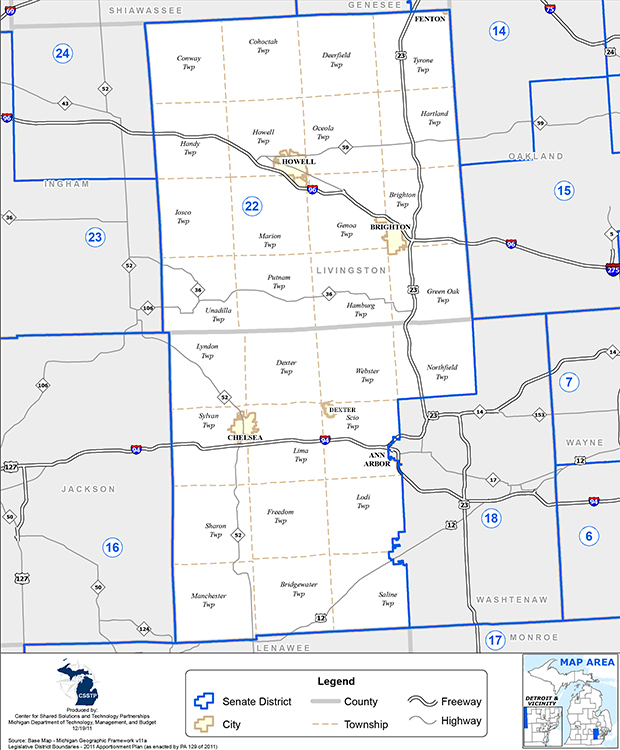 The 22nd State Senate District includes all of Livingston County and western Washtenaw County, including Ann Arbor (part), Bridgewater Twp., Chelsea, Dexter Twp., Freedom Twp., Lima Twp., Lodi Twp. (part), Lyndon Twp., Manchester Twp., Northfield Twp., Saline Twp. (part), Scio Twp. (part), Sharon Twp., Sylvan Twp., and Webster Twp.